Windows 8 is all set to provide inbuilt functionalities to repair a faulty Windows 8 computer. Yes this can be a really bad news for people earning their living by repairing or fixing windows problems. Windows 8 is going to provide integrated system restore, system repair and lots of other functionalities which together will make it really easy to fix common computer problems. This post will identify few of the new functionalities in Windows 8 which can be really handy when you do want your computer to be safe, secure and almost fault proof. Most of the problems on Windows computers gets generated as we download some software or visit some website which brings malware or even viruses to a windows computer. Windows 8 targets at providing enhanced security so that the windows 8 computer does not gets infected as controllable at an operating system level. Given below is the Smart Screen Filter of Windows 8 alerting user that an application is about to be launched which may not be trustable as it has either been not downloaded by many users or it does not comes from a trusted publisher after signing the application distributed using a code signing certificate. Yes the Smart Screen Filter of Windows is a good way of getting alerts about applications that have not been downloaded by numerous users and may not be trustable, however in case you do trust the publisher of the application, you can ignore the Smart Screen Filter and continue launching of the setup or application by clicking on More Info in the Smart Screen Filter. This way Windows 8 tries that users should be really sure about the new application to be launched or installed onto windows 8 computers so that Windows 8 keeps on running and does not gets infected. Even after taking so many precautions, any computer can get infected with virus, malware or can become unstable due to lots of reasons. 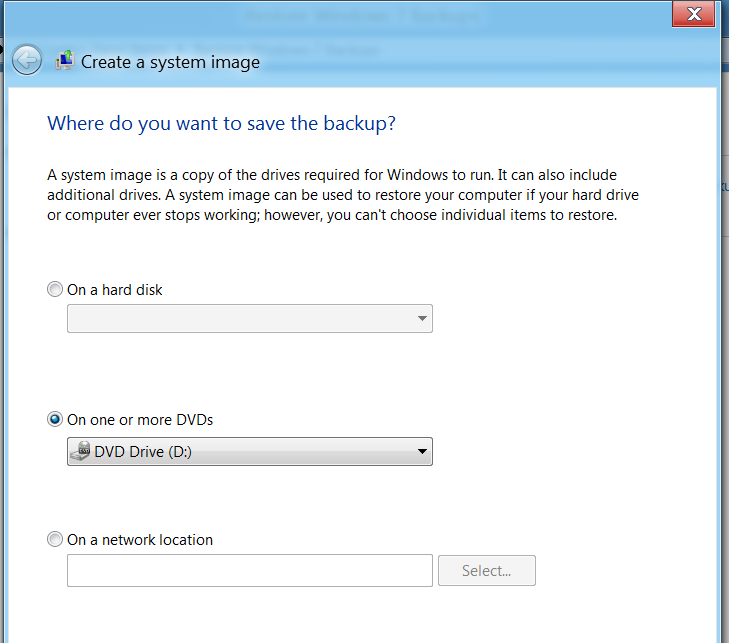 In order to help users of Windows 8, the new operating system provides ways to recover a Windows 8 computer using options as displayed below. The Refresh Recovery Option of Windows 8 tries to fix problems or just refresh Windows 8 without affecting photos, music, videos and other personal files. 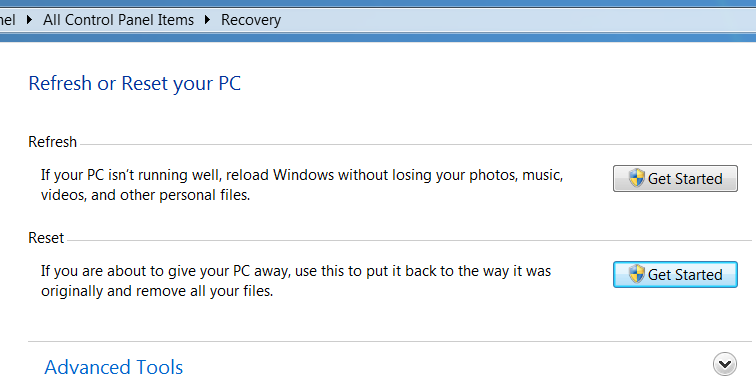 However in case you are about to give up on this Windows 8 installation or you just want a totally new Windows 8, the Recovery Option labelled Reset might be of use. These Recovery options will be of help when you are able to bootup into your Windows 8 computer and navigate to the recovery options in Windows 8. 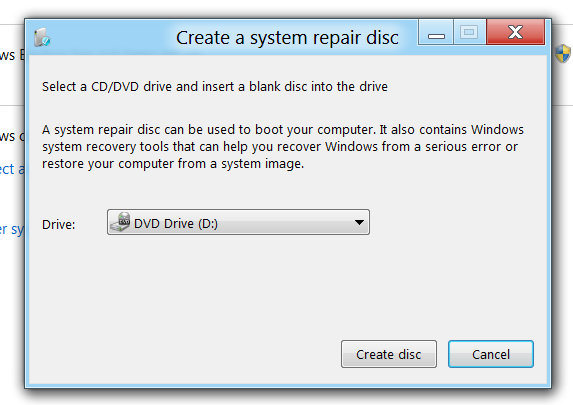 In case you want to be sure that you should be able to boot into your windows 8 computer irrespective or irrespective, you can create a Windows 8 System Repair disc as displayed below. With a System Repair Disc kept as backup, you will always be able to boot your Windows 8 and recover Windows from a serious error or restore Windows 8 computer from a System Image. A Windows System Image is another quick way to recover your computer to an earlier defined stage and can be created as displayed below. With so many inbuilt tools in Windows 8, you may not require the services of a Hardware or Software Engineer to fix your Windows 8 computer. In case are using a Windows 8 computer or plan to upgrade to Windows 8 in near future, the above information can be really helpful to understand how secure and easy to use operating system you are going to use. All of the System Tools in Windows 8 require admin access to make changes to your computer and must be used with caution and care. There are lots of other new features in Windows 8 like Windows 8 Task Manager, support for iso files and vhd files, improved USB 3.0 support and much more. In case you want to try out the Windows 8 for free, you can download pre-beta version of Windows 8, beta version of Windows 8 or even Windows 8 trial version, play with it and makeup your mind whether this new operating system provides you the required functionalities or not.